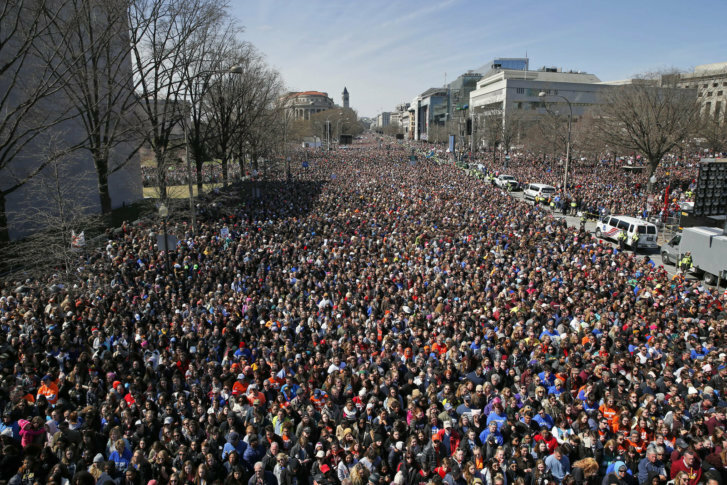 Hundreds of thousands of people converged in D.C. Saturday for the March for Our Lives rally against shootings and gun violence in schools. See photos. WASHINGTON — Hundreds of thousands of people converged Saturday in D.C. for the March for Our Lives rally against shootings and gun violence in schools. More than 800 other concurrent marches occurred in cities across America and dozens of locations overseas. Here are some scenes of the rallies.